What happened at the MEASURES Kick off conference in Vienna? 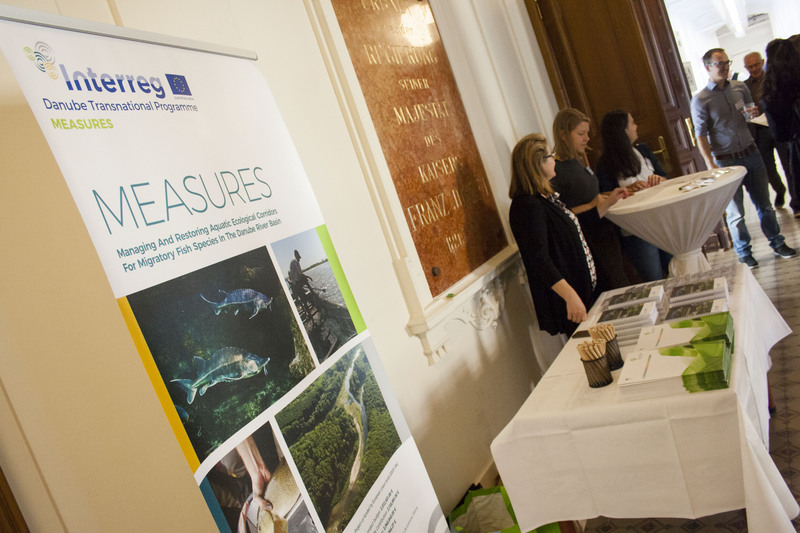 MEASURES - What happened at the MEASURES Kick off conference in Vienna? On the first two days of October the Kick off Conference organized in Vienna officially launched the MEASURES project. 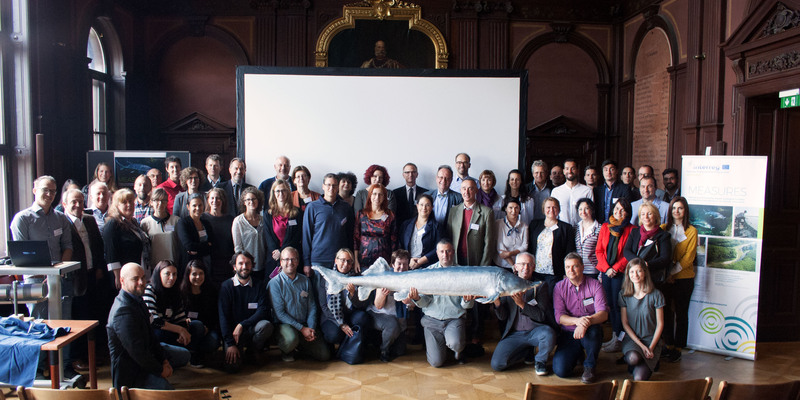 Together with the project partners, also representatives from the relevant institutions for the conservation of sturgeons in Europe were present. Among them were: Gusztáv Csomor, Project Officer, Joint Secretariat - Danube Transnational Programme, Karl Schwaiger, Austrian Ministry for Sustainability and Tourism, Ivan Zavadsky, Executive Secretary, International Commission for the Protection of the Danube River and Jörn Gessner, Leibniz Institute of Freshwater Ecology and Inland Fisheries. Important topics have been reached to achieve the project's objectives, a series of opinions have been set out to support work on the conservation of migratory fish in the Danube River Basin. And the solution is the synergy of all projects of the partner institutions and their work, the exchange of experience and expertise, the cooperation to maximize work for migratory fish of the Danube. The Kick off Conference began with a presentation by Thomas Hein as Project Coordinator. He presented us the specific objectives of the project. 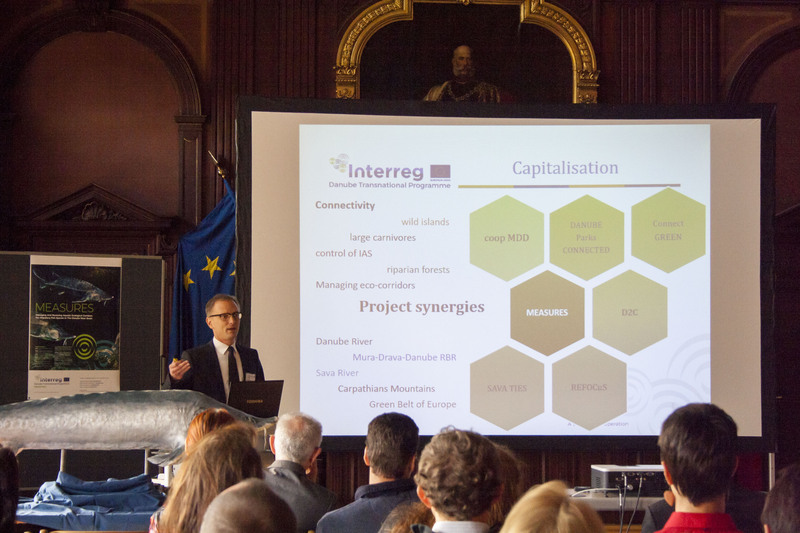 On behalf of the University of Natural Resources and Life Sciences Stefan Schmutz, Head of Institute of Hydrobiology and Aquatic Ecosystem Management, welcomed all participants and outlined his expectations on the MEAURES project. The results of the project are a very important link in the understanding and conservation of sturgeons and migratory fishes from the Danube River Basin. The Joint Secretariat - Danube Transnational Programme (DTP) was represented by the Project Officer Gusztáv Csomor. He presented aims, scope, and background of the funding programme. Mr. Csomor talked about the structure of the programme, and emphasized the environmental component, which MEASURES is part of. In addition, issues related to program principles, and facts and figures have been shared with everyone. Lastly, Mr. Csomor stressed th need for Capitalization. The DTP encourages connecting and exchanging with related projects, to find synergies and increase the overall ouput. In the next presentation Thomas Hein, Project Coordinator, Institute of Hydrobiology and Aquatic Ecosystem Management introduced the vision of MEASURES in greater detail. Taking the initiative to conserve and restore the corridors for fish and people in the Danube River Basin. Connecting a network of people and organizations to join forces building the foundation for combined efforts in the future to reach the ultimate goal: The Restoration & Protection of the Corridor and all of its inhabitants. Then, Karl Schwaiger from the Federal Ministry for Sustainability and Tourism in Austria spoke about the importance of the MEASURES project from the ministries point of view, the role it should play and the importance of a better visibility of the topic among project stakeholders, but also of the general public and potential supporters. Ivan Zavadsky, Executive Secretary, International Commission for the Protection of the Danube River, as a representative of one of the associated strategic partners (ASP) of the project, talked about the importance of the project in the big picture of the topic and especially in the context of the global strategy on sturgeon and migratory fish. He has assured the consortium the full collaboration of the ICPDR with the project, and that their resources are available to facilitate the achievement of the project goals. The last presentation of the first session was held by Jörn Geßner from The Leibniz Institute of Freshwater Ecology and Inland Fisheries. His talk focused on the former and current status of sturgeons, and again stressed the importance of the MEASURES project. The last part of the day was reserved for each work package within the project, the lead partner talked about the concrete objectives and actions they will take in the project. And the day ended with a visit to the sterlet (A. ruthenus) hatchery from the LIFE Sterlet project (www.life-sterlet.boku.ac.at) at the Danube Island in Vienna. 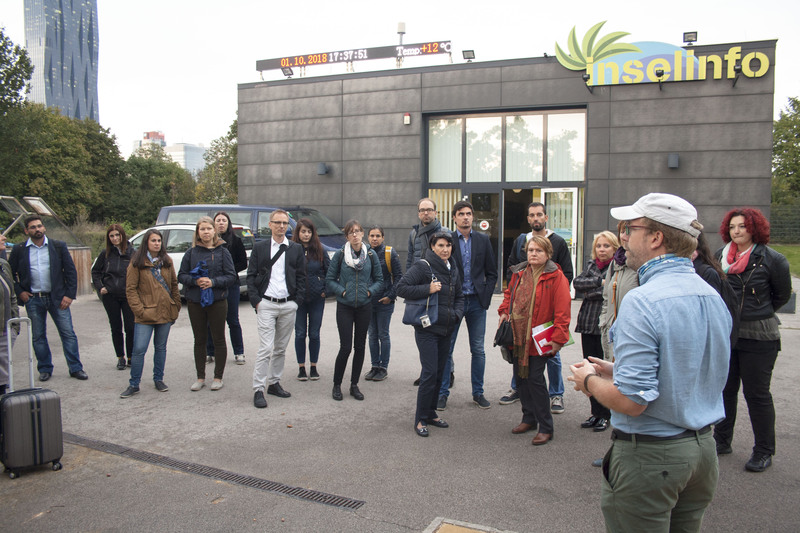 The LIFE Sterlet project manager Thomas Friedrich, from the Institute of Hydrobiology and Aquatic Ecosystem Management, BOKU, introduced us to his project, the facilities they built, and the restocking measures they are taking to strengthen sterlet populations in Austria. The conference was a success, bringing together the same representatives of project partners and stakeholders across the sturgeons’ topic. The expectations are high and we are doing the best to rise to their level.